It’s “Microtransit” Week at Human Transit. This is the first in a series of posts in which I’ll be seeking a coherent explanation of the universally-hyped notion that “microtransit” has some relevance to the public transit challenge. Start here. Transit agencies everywhere are being told to prepare for “the Coming Age of Microtransit.” Enormous effort is going into spreading the idea that microtransit is a potentially transformative invention that transit agencies need to know about, and potentially include in their offerings. As someone who advises transit agencies on service planning and policy, I am having trouble making sense of this and I need the help of people who understand it better than I do. Here’s how microtransit is described in the recent Eno Foundation report. a privately owned and operated shared transportation system that can offer fixed routes and schedules, as well as flexible routes and on-demand scheduling. The vehicles generally include vans and buses. Private sector role in providing service, but with taxpayer subsidy. This is implied by the idea that these should be transit agency initiatives instead of things that private businesses just do for profit. Use of mobile smartphone applications for hailing, paying, and navigating, rather than the old system of ordering rides by phone. This also offers the potential of offering rides on shorter notice than before. So my first question is: Is that it? Because if that’s all it is, then the next question is: Is microtransit an idea at all? Flexible routing instead of fixed routing is a very old idea. It’s routine in the lower-wage developing world, but even in the US, many transit agencies have run service of this type for decades. I personally was planning many kinds of demand-responsive service (from pure Dial-a-Ride to deviated fixed route) 25 years ago. 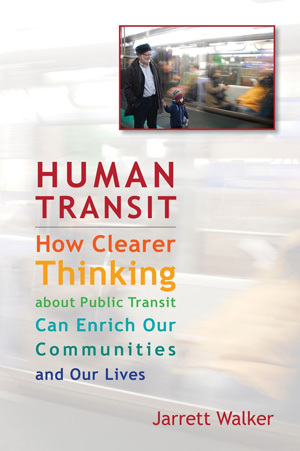 This 2004 TCRP report synthesizes decades of experience on the topic. Private sector operation of transit, under contract with government, is a very old idea. North American agencies routinely contract with the private sector to provide some services, especially smaller-vehicle services, and have done so for decades. There are many established companies specializing in this kind of work, and new technology companies are welcome to compete with them. Use of apps. Is this the only new thing? Transit agencies should upgrade their toolbox of demand-responsive service to use smartphone technology for hailing, navigation, and payment. And most of the best transit agencies are already working on that. Please help me out with a comment. And please: Don’t just switch to some other angle for describing how cool microtransit is. Address my actual logic above, and explain exactly what I’m missing. Thanks! I got some answers, which I discuss in the next posts in this series. 57 Responses to Is Microtransit an Actual Idea? You are right to be skeptical that much of microtransit is all that new. Hype over substance. However, there are some exceptions. Most notable are driver-related differences between Chariot/Via and anything else I’m familiar with. Drivers may be independent contracts (Via, not Chariot) and work flexible hours, so that supply of service (and cost) aligns much better with demand which is highly peaked around commute hours. In addition, independent contractors are far cheaper than union transit workers, both pay and benefits. One other difference is of course that automating dispatch removes an operating cost. The way Chariot crowd-sources routes is notable and could be applied almost anywhere. The real reason for hyping microtransit is it presents a potential bridge between TNCs, with their steady and rather spectacular increases in VMT, and transit, which is losing the battle for customers. On-demand, often fixed-route, smaller vehicles than a 40 foot bus, much lower cost assuming AVs arrive — that should get your attention. Hey! Don’t forget the massive losses when praising TNCs’ massive increase in VMT! Amtrak has been covering about 90% of its costs lately and we know it’s a huge failure but Uber covers around 63% of its costs, so nyah-nyah, silly public transit people. Microtransit will compete for funds with fixed route services that serve 10-100x as many passengers per driver hour. How is this relevant to the problem of “transit losing riders’? Microtransit = jitney + smartphone. Agencies need to recognize this is an iteration of an old mode, with strong potential, but not something more than it actually is. I agree it could fill an important role between TNC and traditional transit, but curb rights and competition with scheduled service need to be front and center in the conversation. Your paraphrasing seems right on to me. Hype in the tech industry regarding new, essentially unchanged versions of old products, however, is also nothing new. Dockless hire bikes would seem to fit the US DoT definition. Already see clusters of these at railway stations. But privately owned bikes have already solved the first mile problem in The Netherlands, vast bike parking stations have been built. I wonder if you are under-valuing the importance of #3? ‘Oh it’s just an app’ is often a very reasonable and accurate response to hyped new ideas. Sometimes, however, making something that bit more convenient makes a real difference. It’s also why ‘oh that’s just a nicer interface’ is sometimes true but also sometimes misses how revolutionary a clear, simple interface can be (think of what this has done for both Google and Apple). Apps compared with phone calls, for example, are in one respect not much difference – but my goodness, I find it so much easier to book a service via an app rather than the delays involved in phone calls. That’s not just about transport – e.g. it is easier now that I can make my gas meter reading via app rather than phone call, even though the old automated phone call service was pretty slick. What Mark said. I think a decent smartphone interface can have a big impact… The difference between calling a cab and hailing an Uber. This impact could be enough to make ridership on demand-responsive services high enough to compete with fixed route transit, especially in lower-density areas. Even in higher-density areas, Chariot is making a good run at competing head-to-head with conventional transit, using a smartphone-based express route model at a premium price point. Sure, but such apps only replace taxis, shuttle buses and “middle of nowhere” routes in the suburbs. As long as a fixed route’s service is fast and frequent enough (and Uber/Lyft/etc continue to be $5 a ride), people don’t mind walking and transferring. I have had the unfortunate experience of calling the paratransit dial-a-ride service (HandiDART) in Vancouver, BC. I waited over an hour on the phone. An app is a transformative solution indeed and if transit agencies are *still* working on it, they are way behind the curve. They should have seen Uber’s popularity in 2012 and come out with an app already, not “working on it” in 2018 where they are already dinosaurs by comparison. Perhaps other agencies do things differently, but in all of the communities where I’ve ridden public transit, door-to-door paratransit service has ONLY been made available “to people whose disabilities prevent them from using fixed route public transit.” (That quote is from “Paratransit” on the Sonoma County Transit website serving Sonoma County, Calif.) Dial-a-ride is NOT offered to the general public, only to these specific riders. So perhaps the “new” idea being proposed is that it be offered to EVERY fare-paying customer — along with, as you mention, the new ride-hailing app capability. Both public dial-a-ride and disability-only paratransit exist in the same transit market under different names. In my hometown Seattle paratransit is called “Access” and goes everywhere, has very strict qualification requirements, and if you’re going 20 or 30 miles you may have to transfer between two or three Access vans covering different service areas. Access costs $40 to provide, so the agency also sells half-price taxi vouchers which they encourage disabled people to use if they can, because those cost less. A federal law requires paratransit in a mile radius around any fixed-route service (although commuter expresses are exempted). The net result is that the cost of paratransit discourages cities from extending regular transit to new areas, and some small cities have only paratransit, because you can have only paratransit but you can’t have only regular transit. Dial-a-ride is part of the “van route” service in the outer suburbs: areas too sparse for a full-sized bus. The van has an hourly fixed route to a transit center, but you can call 24 hours ahead for a custom deviation to your address. Anyone can do this and the fare is the same as a regular route. The route has a limited flexible area, maybe a couple miles across. And it will make only two deviations per hour I think. Another concept is in one rural edge area, where the agency deleted fixed-route service and instead partnered with a senior center/Indian tribe for a nonprofit shuttle. The shuttle provides more service than previously existed: it runs forty miles in a rural valley between two transfer points, and provides flexible service in the end towns (not in the middle). The transit agency provides the van and and initial seed money. The senior center operates the route. Anyone can ride it. If you’re transferring to/from a regular bus it’s free, but if you’re using only the shuttle it’s a $1 donation. It runs every 2.5 hours or so, weekday daytime only. I think the dial-a-ride cutoff for the valley shuttle is 1 hour ahead, but I’m not sure about that. I’m pretty sure the other routes require 24-hours’ notice, which obviously limits what kinds of trips you can take with them. But you can always go to a bus stop for its hourly scheduled service. Uber is nothing new either without its app, at least from the perspective of the rider’s experience. It’s basically a taxi with an app. And maybe lower fares (while the venture capital is still flowing). Am I correct in saying that a key operational difference between Uber and taxis is that Uber would look at traditional taxis as being burdened by various regulations and operational requirements, whereas Uber is the cowboy that does things the way they think they should be done? Because we’re not a taxi… we’re something totally new! This was behind a lot of the taxi protests around Uber — not that they were competition, but that they were playing on an uneven field. I think Uber overcame taxis primarily due to their app, but the taxis have caught up on that score. Now Uber’s advantages over taxis come from leveraging their lightly-regulated status and their massive overcapitalization. On regulations, they are free from medallions limiting the number of taxi licenses that raise cost, and from any duty to provide decent pay, benefits or working conditions. The risk of cars breaking down is all on the contractor. On the capitalization side, hedge funders have poured insane amounts of capital, which they use to subsidize each ride – meaning that the capital investment is predicated more on a bet of future platform monopoly than on actual operating revenues. Medallions exist because without them, there is an unlimited number of taxis. When there is an unlimited number of taxis, profits drop to zero and, in theory, there is no incentive to run the service. In practice, profits are zero so the losses are pushed on to drivers and into poor maintenance, etc. You know, the same reason any market ends up being regulated. It’s another way of trying to drive unions out of the business, to lower costs by lowering drivers’ pay to minimum wage. (1) Downplaying the app is like saying “what’s special about Uber/Lyft since we’ve had taxis for decades?” The app IS the revolution. The convenience IS the revolution. The user-centric model IS the revolution. (2) Dial-a-rides have been around for decades as well. Nearly all of them require 24 hour in-advance scheduling or some other requirements. The ability to supply the demand in real time makes it a true “on-demand” service. Let’s take dialysis as an example. Patients know when their appt starts, but they can’t predict when it will finish. (3) In-advance scheduling also leaves to a lack of efficiency. What if, instead of having an idle vehicle between trips, you could handle on-demand requests to increase your revenue/hour? What if an algorithm can handle calculations quicker than a human, and it can batch together riders in real time? Wouldn’t agencies want to increase rides/hour? Yes. Yes, they would. That is a function of where people want to go. If the traffic pattern is highly tidal (like the commute), then no matter how smart an app you have, there won’t be any more passengers. Deviating to pick up one more passenger wastes the time of all the passengers already aboard the vehicle. Once you have a few people in the vehicle, deviating is simply not worth it. “Shared” transportation, i.e. where it is expected that multiple passengers will be in the vehicle, is always fixed route for this reason (though the stops can move along the route). I think the hope that “microtransit” would be transformative is tied to an implication that along with “app” comes unprecedented deep and useful data, and that the data would reveal efficiencies and possibly innovations. While I believe data could be powerful, I am skeptical that it would be in practice, or that changes it seems to support would automatically be positive. Who would have access to that data, for what uses? Would it be meaningfully comparable across different agencies? What biases are being built in? How can last-mile ever be wonderful without the network being awesome? If we’re paying a cost in privacy, what can we get for it, and who benefits? We neglect important identification and balancing of values & resources because technology keeps getting treated like a solution and not the tool that it is. For me the difference between “Microtransit” and “para-minor transit that existed previously” isn’t the app but rather, the technology behind it that allows the kind of demand responsive service that people apparently want. But remove the hype and the venture capital and the unmet promises and the high cost/high fare for largely ineffective (in the grand sense of moving people) services, and I’m still waiting to see why Microtransit is better than fixed route transit. From the official services (Bas Mini in Malaysia, Green Minibuses in Hong Kong) to the legitimate services (Red Minibuses in Hong Kong, Jitneys in the Philippines, Samlor in Northern Thailand, Ang-kot in Indonesia), to the illegal (van/teksi sapu in Borneo, Dollar Vans in NYC), they all managed to fill some measure of demand for transit services. In many cases these services make sense, but I don’t see the model working in North America without significant subsidies, and I’d much rather see public money going to public services that aren’t limited (in terms of Access) to people who have smart phones or people who have the money to pay for the higher fares. So where does that leave us? Well, perhaps some transit agencies should emulate what Singapore’s Land Transport Authority is doing, with their trial of government-led demand-responsive services. Where Im interested is that the LTA will specifically be looking at how demand responsive transit can be used to make fixed route transit more efficient. For smaller municipalities that dont have a strong tax base or their own transit systems, using TNCs seems to have some potential because there aren’t as many startup or long term costs…but in those cases strict standards have to be maintained and subsidies kept to a minimum. We’ve always had ridesharing and flexible routing apps; what we haven’t had is the massive data they depend on. In the eighties I used to imagine developing elaborate networks of customized services that would be more effective than fixed route providing access to secondary destinations and dispersed suburban campuses; all that would be needed would have been a massive database of people with their origins and destinations. We didn’t have that then, but we do now. Mobile computing provides the first level, making voluntary ridesharing more effective for people already looking for shared rides; travel patterns are available through anonymized cell datasets to allow identification of obvious secondary markets, and (depending on how much one wants to flirt with massive creepiness), there are companies that have aggregated massive marketing dossiers on virtually every household in the country who can identify not just OD pairs, but whether each person is in a market segment likely to be open to using a new service. I think there’s actually a lot of potential here for transit agencies to be proactive and get ahead of this if they can get the pricing right. Through my understanding, it is very much what you are describing.. basically the private microtransit operator making deals with employers of the area, saying “yeah we can fill a bus” and basically “if you value service in your area, you’ll have to pay us to provide it by promising to ride it in big enough numbers, at a price high enough to cover the cost of providing the service, *before* we actually provide any service”. The isolated operating efficiency (cost per rider-space) of a microtransit company might be higher than for transit. So, I guess microtransit isn’t very labor or space efficient, it is just a response that involves covering (high!) per-rider costs through subsidy and… promising to ride it?. This is basically carpooling but with money. Again, the apps and data and private attributes of this probably make people think that the isolated operating efficiency is high, which I don’t see a good reason to agree with. This has nearly always been present in long-distance transportation, usually providing the segments within the same vehicle (e.g. business and economy class in the same plane). The same model might be workable in urban transportation, or it might be provided with separate vehicles (probably vans). While it is already known that separate vans with drivers and without subsidy cannot operate this kind of service profitably, and that subsidizing it to a similar degree as “economy transit” is undesirable as well as politically unfeasible, some other solutions might be profitable. The one with the most press is that driverless vans could be profitable. But there is also a possibility—one that could be implemented with existing technology—that within-vehicle segmentation could be profitable. If the difference between the premium and the base fare (per unit floor area, if there is a difference in passenger density) is positive, then it would be profitable to convert a fraction of the vehicle’s floorspace to premium class. (As much floor area, as there is demand for at that price level.) In this case, the passengers using the premium service would pay for the higher cost of providing the service; the premium service isn’t subsidized. Alternatively, if the premium fare per unit floor area exceeds the cost of providing a unit of floor, then it is profitable to add more service; in this case, the base-fare capacity stays constant and the headway decreases. E.g. if on a route with currently 6.6 min headway (9/hour) a premium service with 6 minute headway (10/hour) would attract only as many premium passengers that they would fill only one bus per hour, but their fare would pay for that one bus per hour, then it is profitable to have 10/hour, with each vehicle in a 10% premium, 90% “economy” configuration. A related aside: Are there any books or papers on the jitney era in North America? My reading about it, which consists mostly of references to it in articles about other things, make me think that it didn’t last long. My assumption is that folks got into with their own vehicles, collected fares as they pleased, followed routes as they pleased, and seemed to make a bunch of money without much work … and then finally realized that as fun as it was to collect those fares, it took a lot of time and didn’t really cover the costs of operating their vehicles and certainly not the long-term costs of owning the vehicle. At some point, people just stopped doing it because it didn’t actually make sense. But that could be wrong (no matter how much is seems like Uber but without the app). So … references? I know the transit operators of the day, almost all private, hated them but everyone hates having customers taken by other companies. I can see the use of smartphone routes making suburban transit routes more efficient, but only if used universally. For example, imagine a suburban route that makes a detour to serve a senior center or major employer. If no one is waiting or plans on getting off here on a specific route, everybody’s time is wasted. However, if we could require that the stop be requested in advance, the driver of dispatcher can see that the detour can be skipped, improving the trip for everybody else. However, i can’t see any system actually doing this because smart phone use isn’t universal. Explain how suburban transit routes become more efficient if everyone were to magically be given a smartphone. It seems you’d still have a vehicle traveling between two endpoints by a variable route and since it’s possible for every single stop to have one or more passengers waiting, then you have to schedule the service to allow for that possibility which means that on some trips, the vehicle zips between endpoints in the minimum possible time and ends up “waiting for time” until the next cycle. I don’t see how this is more efficient. If the vendor of the smartphone app partners with the local paratransit call center and addresses in the community are geo-coded, then those without smartphones can book their rides having the call center use the app. If that rider uses a wheelchair, then the call center can assign the ride to a competent provider. The resulting social and economic impacts of this decline are significant. Microtransit is not a new idea but it could make a significant impact in a more challenging environment. Will it require subsidies? Possibly. Is there scope for exploring new business models? I think so. One example is multi-purpose vehicles for freight and people that require “flexible” or “demand responsive” routes. I would suggest a fourth element: Autonomous vehicles. Much of what is being done today with TNCs and agency-owned microtransit are really “beta tests” of what will become our future transit system as autonomous vehicles become a fact-of-life (in major urban centers first) and individual vehicle ownership rates plummet. I get a lot of eye rolls from my on-transit industry friends, but if I think that car ownership in urban centers will be a thing of the past within a decade. That is when microtransit goes from being a marketing catchphrase to the de facto standard. Let’s pretend that #RoboCars are a thing (though I’ll remind everyone that there are no vehicles without drivers on public roads in the US). How does having a robot car automatically lead to no one having a car? I don’t get that. People that can afford cars aren’t going to share a fleet of #RoboCars any more than they’d share their current car. I can quite easily imagine people who can afford cars not wanting to own them, I know such people right now. Taking care of a car is a hassle, never mind driving. Right now it’s difficult to estimate the various factors that might go into these decisions. How useful, clean, safe, pleasant etc. are the autonomous taxis going to be? Just how near a population center do you have to be for the robotaxi to get there so quickly that it’s practically as good as your own car? What proportion of the population is so attached to owning a car that they’ll want their own no matter what? How much of that is a cultural phenomenon that will change? 1.) Autonomous vehicles will be outside the affordability of the average family. Also, autonomous vehicles will be fleet managed, so things like gas stations, service stations, repair shops, will become rare. Even individual car insurance will start to grow expensive as the pool of drivers shrink. 2.) Parking in urban centers will either go away or become prohibitively expensive. Parking garages will be torn down or converted to home or office buildings. Or driving your own vehicle into a city center will be taxed (like central London). 3.) People will realize that owning a high-maintenance depreciating asset that remains unused 95% of the time doesn’t make sense. There will be a construction boom of garages being integrated back into usable home space. 4.) There will be tiers of autonomous vehicles. Well-to-do people will ride in a different type of vehicle think Mercedes-branded autonomous vehicle. Probably less likely to be a shared ride, but it will still be an autonomous vehicle owned by a third-party. The ultra-rich may own the autonomous vehicles. 5.) Look at vehicle ownership rates with young people today. They have already started to drop. If you think my ideas are crazy, you are probably over 40-years-old. 6.) AI will make the distribution of cars across an area incredibly efficient. It will also be able to see individual usage patterns to actually predict when you MIGHT need a ride and have a vehicle “available”. An autonomous vehicle network could do that and even more. For example, I go to the farmers market almost every Saturday. An autonomous vehicle network could easily learn this behaviour and pop-up a notification at 8:00am (my usual departure time) and ask “Are you going to the farmer’s market? There is a vehicle available immediately.” Or even better, around 8am tell me that two other people in my neighborhood are going to the same general area and if I share the vehicle it would be 1/3 the price. “Car ownership in urban centers…” — in any urban center with public transit worth a damn, there’s no reason to own a car NOW unless you’re rich. Will rich people use autonomous shared transit? Or will they just upgrade to a fancy autonomous car of their own? I think the latter. I think the latter, too. I don’t get why many people think that somehow #RoboCars, if they ever arrive, mean that people will abandon their own cars in droves. Suburban people have their car in their driveway/garage ready to take them wherever at any time, no waiting, no planning. It’s part of why transit has problems. I don’t see them giving that up – it’s why they have the car in the first place. Urban people *might* abandon car ownership because hailing a car may well be faster than retrieving their own car from wherever it is that they stored it. IOW, no different than UberLyft now. But even with urban dwellers, if their personal car is just as convenient as hailing one, why would a #RoboCar make that different? And with a #RoboCar, the problem of parking at the away-from-home destination isn’t an issue because the car will find something to do somewhere. Maybe park, maybe just drive around and wait until master beckons. I don’t think a lot of people have thought this all through. Of course the rich are always going to get cars of their own. Just like rich people also own planes of their own. But most people aren’t rich. From an urban planning perspective, what really matters is what the masses do, not what a few rich people do. Are you really comparing the wealth needed to own an aircraft to that needed to own a car? Really? Yes, it’s completely different scales of wealth, but the same principle still applies. People earning $100 million/year prefer to own their own aircraft for the same reason people earning a here $100 thousand/year prefer to own their own car – they enjoy the convenience and have the financial means to be able to afford it. I think that wealthy people in urban centers will use an autonomous vehicle service (just like the ubiquitous pre-Uber black car service in NYC). TNCs will offer a “Black” level of autonomous service and one of the benefits of that service is that those vehicles will not have ride sharing and may include other premium services like the ability to have a vehicle on standby. Think of all the embarrassing celebrity DUI arrests that won’t happen! What will TMZ do to make up for the drop in content? >> I would suggest a fourth element: Autonomous vehicles. Right, and that element would transform regular transit much faster than it would transform micro-transit. With automated vehicles, micro-transit gets cheaper. But it is still expensive, because you have lots of cars driving around to various locations with little regard for efficiency. With regular transit, you already have an efficient system (or you should) based on a grid with transfers. That is the most cost effective way to deliver anywhere-to-anywhere service. When regular transit is automated, you have the same sort of savings, while service improves as well. That is the difference. Micro-transit is about as good as its going to get. The apps might become a little easier to use, and the algorithm that figures out the route might improve a bit, but self driving vehicles doesn’t improve the service. But with a fixed route, fixed time transit system, cheaper operations means much better service. Imagine running vans and buses on every major corridor every five minutes. Riders would have to transfer for most trips, but the transfer penalty is minimal. That is obviously an improvement, yet cheaper to operate that serving people with cars or vans that go all over the place. 1) Capital costs. Current TNC models do not factor in capital cost, though some, but not all, of this cost is currently implicitly in the pricing model. While everyone sees the fact that operating costs shrink with autonomous vehicles, the capital costs come in-house 100%. Even with a capital leasing deal (more likely down the road as information about usage is obtained), this is still a spike. AVs aren’t free. An AV with a typical payment capital usage period of five years would cost roughly $40k, which is roughly $2k per year per available seat (big SUV/minivan). A 40-foot transit bus capital horizon of 12 years at a cost of $480k. With room for forty, the annual capital cost per seat is $1k. Note that for a typical current TNC, a new sedan (Example, a Camry) is $29k over five years, or $5.4k per year. With usage hovering around 1.5 people a trip, we’ looking at about $3.5k in capital cost per viable seat per year. Different costs, different operating environments. 2) There is one thing that trumps an app most of the time…..no ordering/ checking requirement at all. In other words, fast, frequent, consistent service. This is what transit riders have rated most important since time immemorial. Transit operators should concentrate on those routes where they can feasibly provide high density service over the majority of the day (18 hours +) so that people don’t need apps or schedules. These are generally the routes requiring the least subsidy. Where agencies tend to get bogged down, financially and politically, is in trying to be all things to all people. Typically, suburban/light density routes require a subsidy 4 to 10 times greater than that required on core routes. I would say double down on the core and connectors and let Micro-Transit do what it does best…low density many origins to many destinations. And yes, this also includes peak period commuter routes. 1) Exactly. Once you automate your transit system (or your taxi-cab system) the capital costs (as well as maintenance costs) become the big issue. Basically, you want as small a fleet as possible. Peak demand is everything. You can’t have a taxi system that basically says “Sorry, try again later”. Well, actually you can, and do — that is what surge pricing is all about. Since Uber and Lyft are private companies, they have no responsibility to provide transportation for the masses. Prices go up when demand is high. But you can’t do that if you are a public agency, which means you have to have enough vehicles to handle the load. At that point, running them efficiently is key. The best way to do that is how the author of this blog explained many times before — a grid. 2) Yes, and with a high demand grid, it would also be very frequent. My guess is agencies will transition to a larger mix of vehicles. Big buses for the high demand corridors, and vans for the low demand ones. But the vans will run frequently — about every five minutes — which means that even in a mid-size city or suburb you would be able to catch a bus very quickly. It wouldn’t get you to your destination — you would need to transfer — but with all the vehicles running frequently, that doesn’t matter very much. That is the part of this that folks don’t emphasize enough. Transit scales. They scale in a way that taxi-cabs and even shared cabs don’t. Microtransit is really an update of concepts including deviated fixed route and shared ride taxi which have been implemented as subsidized services for decades. The use of smartphone technology is a tool which can improve the effectiveness of these services but the core reality is right sizing services. Part of this is bringing down the cost of operating through use of smaller vehicles and lower cost labor associated with driving and maintaining those vehicles. TCRP 112 gives some excellent examples of right sizing and the reduced costs relative to traditional bus in lower debsitt demand areas. And are still being implemented as subsidized services. Uber has a 63% farebox recovery ratio, the rest being made up by eager investors. Glad it’s not the taxpayer but this won’t last. That’s a better ratio than most transit systems (taken as a whole) but Uber has no mandates to serve any particular areas or times. IOW, they are purely in it for the money (nothing wrong with that) and even so, they can’t charge high enough fares to cover their costs. And that’s even without (in most cases) having to buy a fleet of vehicles. No, it’s not a new concept. Neither is pizza delivery. But the apps can make it easier to use and theoretically, sophisticated software on the back-end can optimize the delivery mechanism. But the basic idea is still the same. It plays a role in many cities and suburbs, but not a big one. Any improvement to that service is great, but it isn’t ground breaking, nor will it usher in a major change in the way things are done. Unless, of course, politicians or companies use it as a way to break existing transit systems (and their unions). That seems quite possible, in the way that Uber has successfully skirted union and city regulations to provide taxi-cab service. They even called it “ride sharing” — taking a page from the book used by misleading lobbying efforts (e. g. “right to work”). The term “ride sharing” implies that both people are trying to get to the same location — that they are merely sharing a ride — not that one person is simply driving the other (i. e. being a cab driver). But by calling it that, they are able to skirt all the rules. If the Dominoes workers ever unionize, someone will likely start a “pizza sharing” company fairly soon. Anyway, the basic reason that micro-transit is nothing special is right in its name. It doesn’t scale. Once you get past the “micro” usage, you are much better off running a fixed route system. Imagine a bus running along a corridor every ten minutes. There are enough riders — all day long — to justify such service. At every point, there are about 20 or 30 people on the bus. Not the same 20 or 30 (because people are constantly getting on and off) but around that many for the entire route. Now imagine you replace that with a demand driven system. How is that better? How does it even work? You are either spending a lot more money (for a lot more vans) or the bus will operate in much the same manner as it does today. If a bus has 20 passengers, there is no way that a bus would backtrack because someone requested a ride. They will have to wait for another bus. When the other bus comes by, you can “request a ride” via an app, or by simply standing next to the bus stop. But with a fixed route grid, service scales. There are only a handful of corridors that can justify that kind of service. But with self-driving vehicles, there are a lot more. As demand increases, frequency increases. Instead of running that bus every 10 minutes, you run it every 5 minutes. Transfer penalties melt away, and a grid becomes a very reasonable option, even if lots of people have to make a transfer. I have yet to hear anyone say the same thing about automated taxi-cab services (whether they have one person in the car or more). It is completely different than a phone network or the Internet. In both cases, it was obvious that the more people sign up, the better the service. That is definitely the case with fixed route transit, but it isn’t the case with any of the other options. They only make sense in very low demand areas. Right, microtransit is not for corridors that get 20 or 30 passengers an hour. That would be a well-used core route in a suburb or city neighborhood. But beyond those areas are others that can’t get as many people, and they often have skeletal coverage service that doesn’t meet people’s needs; e.g., hourly routes that end at 7pm, and some houses a mile from the bus stop. This is the perfect place where microtransit can fill a gap, and it may deserve a subsidy (because the missing coverage service would be subsidized anyway). If microtransit companies also want to cherry-pick the highest-paying riders in inner-city trunk corridors, I don’t care as long as they’re not subsidized and it’s not an excuse to cut or not invest in regular transit service there. Some elected officials are already using the idea of microtransit service as a rationalization for not funding fixed route transit. It’s easy to talk about Uber and Lyft as just “taxis with an app”, but you missed one of their key benefits – that Uber took away the taxi monopoly and created more competition. More competition = better service and lower prices. If there was more competition for fixed route service (esp for busses that don’t require special infrastructure), I bet we’d see better service and lower prices. Renting videos and movies are nothing new, but when you combine the two and get Netflix, it is a much different product than Blockbuster and a product that actually puts Blockbuster out of business. For transit to stay relevant and useful as well as sustainable, it must start to embrace technology which helps eliminate waste and improves customer convenience. While certainly door-to-door demand-response has existed for a while, comparing it to micro-transit is like comparing Blockbuster to Netflix. For many agencies, you have to book 1 to 3 days in advance and cancel an hour in advance. Micro-transit takes advantage of a much higher level of algorithms that can be altered within seconds. If you’re in a Lyft, you know how easy it is to change your destination without incurring any penalty or time delay. On top of all this, transit agencies are facing lower ridership and a higher demand to innovate or change, and micro-transit fits the bill. With rideshare invading our market, we can either sit around resisting change and becoming increasingly unsustainable and irrelevant or step up to the challenge and use technology, apps, and more advanced algorithms to stay ahead of the competition. With transportation costs increasing faster than inflation in part due to skyrocketing healthcare costs, the existing transit fixed-route model is unsustainable, especially when it tries to chase urban sprawl. Low gas prices have given us a small respite from facing the ineluctable reality of having to cut service. The day will come, and if anyone says, they did not see it coming, they are either lying or have buried their heads in the sand. My suspicion: ride sharing companies are operating at a loss, so they are looking for a new revenue stream. In other words, Uber/Lift/etc are hoping for tax payer subsidies. Microtransit sounds like the typical silicon valley model of developing a snappy buzzword to market an idea… even if the idea itself isn’t well defined. Kind of like the “cloud.” The idea of a cloud wasn’t well defined when people started marketing it, but people were constantly talking about how important it is. Now it has come to mean virtual machine based hosting services like AWS, but that is only after many years about people hyping it while it had no concrete meaning. It’s a kind of “marketing first, idea second” approach. There is some value in that approach in that it gets a lot of different people thinking of how to develop an idea… on the other hand, I think AWS would have been built either way. I see a huge opportunity in the last mile transit, in particular not so dense neighborhoods and elderly/disabled. If you live&work next to a subway, there is no need, but not every one has that luxury. My phone already knows that i have a meeting at 10am, what about if it would remind me and offer a button to call on transit? Then an AV would pick me up in front of the house, take me to the next transit station and on the other end another AV might pick me up. As the app platform already know my schedule/destination, it could pool a few riders to get to/from the transit station from/to places in close proximity (ala UberPool). Such smart pooling infrastructure is the novel concept of microtransit. It would overcome the walk shed issue in SFR areas and certainly suburbs. Home › General › Microtransit › Is Microtransit an Actual Idea?